HomeDele Awoonor-GordonSia Koroma – a willing tool in political infamy? 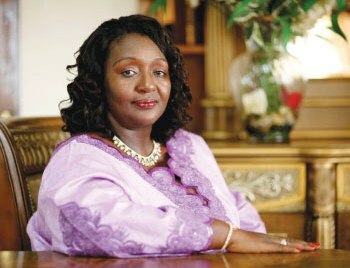 With no further comment or rejection coming from the office of Sierra Leone’s first lady, Sia Koroma, it is obvious that she has seen nothing wrong with her acceptance of the position of President of the African First Ladies Peace Mission (AFLPM) in the midst of the intrigues surrounding the post. But what is it with those who are in the corridors of power? Why is it so natural for them to compromise conscience and follow the social, religious or political fashion for the sake of gain or pleasure? Why do they find it extremely difficult to sacrifice both on the altar of truth and duty? I know that truth has been out of fashion since man changed his robe of fadeless light for a garment of faded leaves. But is that why, Mrs Koroma lacked the guts, the finesse and the capacity to pull out of the treachery that was glaringly on display? It is a blatant case of double standards for Sia Koroma to accept willingly the headship of a group that is meant to be searching for peace, under the cloud of mistrust, suspicion and immorality, in which no ethical punctuation mark was in sight. 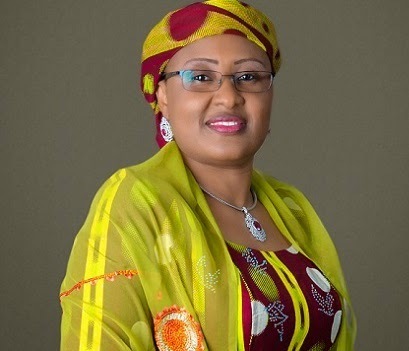 I understand that even though Mrs. Aisha Buhari (Photo) does not want to be dragged into the brouhaha surrounding the whole saga, the last has not been heard of Sia Koroma’s role in what is being seen in some quarters as modern immorality play and a betrayal of the spirit of truth, equity and justice. There are no two ways to it. Sia Koroma’s decision to be a willing tool in the political intrigues smirks of nothing but lust for power, greed, indecency and moral bankruptcy. It is the unkindest cut of all. Sia cannot tell me that she is unaware of the antecedent of Patience Jonathan. So, as some have pointed out, is it that the Sierra Leone first lady was naïve or hoodwinked? Or was she blinded by her loyalty to someone from whom she has been a very generous benefactor? Truth is that the garrulous Patience Jonathan who chose Sia Koroma obviously found in her a willing tool and a kindred spirit of viciousness and the lust-for-power. The crave for eternal power and control which leads man to manipulate everything to make them be THE PERSON, is the crave for eternal death and pleasure without conscience. Some ‘official’ facts will suffice in analysing the complicity. Patience Jonathan (Photo) claims she took the unprecedented step of terminating Nigeria’s occupation of the post to forestall a scenario where from past experience, the wife of a former Nigerian President was unable to handover properly, leaving a vacuum in 2010. Jonathan said that the emergency Summit is to forestall a misunderstanding that Nigeria intentionally plans to remain in office as President, a position circumstances has forced the country into accepting for the past 7 years instead of a two year tenure. Patience Jonathan denied speculations that she was plotting to prevent the wife of the President-elect, Hajia Aisha Buhari, from replacing her as President. Mrs Jonathan’s letter to the First Ladies recalled that at its third meeting in October 2014 in Pretoria, South Africa, the Executive Bureau agreed that the eighth summit will hold in July (this year) where a new president of the Mission is to be elected while the appointment of its Executive Secretary will be ratified. Did she or did she not know about the impending emergency meeting before it was convened? Had she already accepted to play the role of ‘spoilsport’ long before the summit? What advice was given to Patience Jonathan regarding her reasons for summoning an emergency meeting two weeks before she was to leave and just two months before Nigeria’s tenure was to end anyway? Yet her husband lost the election in March. How plausible is the excuse that there would be a vacuum in the club of Ladies of Pleasure, like in 2010, if the body, now has a functional secretariat. Did Sia stand her ground to debunk this point? 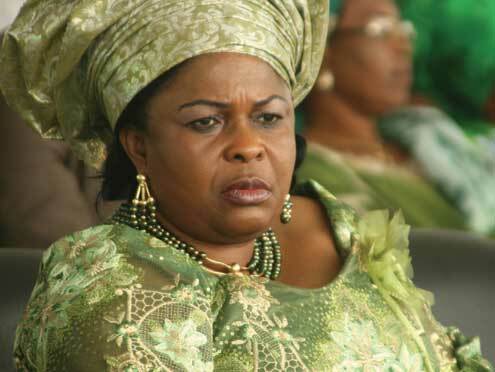 Nigeria will swear in a new President on May 29th 2015 and there will then be a new First Lady who, should automatically finish the term as President of African First Ladies; just like how Mrs Patience Jonathan had herself finished the term of First Lady Turai Ya’Adua when her own husband died in 2010. Is Sia not aware of this basic fact? Therein lies the hypocrisy. Sia Koroma is a beneficiary of precisely the forces she claims to deplore by trying to get Aisha Buhari on side, as if no injustice has been done and there was a compelling need for the whole charade that she got dragged into. According to some sources, the meeting was poorly attended because some could read between the lines and did not want to be associated with the ploy. While others ‘deliberately or otherwise’ got their invitations late. Others contend that the fact that an acceptance speech was already ‘prepared and read’ on behalf of the new ‘President’ shows that it was a grand design to which Sia was an accomplice. What threat or form of coercion that was used remains a matter of conjecture, but allusions were being made to issues that flowed from the conduct of the ‘election’. Sia Koroma has unwittingly shot herself in the foot. What image does she think the incoming Nigeria first lady will have of her, and can she really blame Mrs Buhari if she feels like dining with a long spoon? The only saving grace is that Aisha has more decorum – what do you expect from a woman who concurs with her husband that the office of first lady will only exist if it is constitutional and who refused to be drawn into barbaric electioneering campaign with Patience Jonathan who suffered from verbal diarrhoea. I am aware that acolytes of Mrs Koroma would probably go into overdrive to justify whatever is perceived as her role, but whatever image laundering would be unleashed (if any), a former soft drink advert readily comes to mind – 7UP- the difference is clear. Another demonstration of the incompetence and power-hungry cabal that u have in the governance of our country. African First Ladies are a bunch of sissies of corrupt dictators who have no business in the national affairs of their countries. For anyone that was following the rantings of Patience Jonathan, her lack of basic decency or respect for others, you would wonder why this whole project of African First Ladies is just what it is: a total waste of our poor countries limited resources for the promotion of the egos of dictators’ concubines. This cabal demonstrates another issue of poor governance in Africa. I do not know of a European equivalent where the wives of presidents / prime ministers have a regular meet up, with no real tangible achievements to show for it. Why is it necessary for these very poor economies to shell out public funds on first class airfares, five star hotel stays, shopping sprees in exclusive malls, limousines and Michelin star dining on the first wives and their itineraries – while the vast majority of the citizens live in squalor, wretchedness and scraps is beyond comprehension. The relevance and costs of this first wives club – and not who is in the driving seat is what we need to challenge. We need to demand an explanation of the benefits of these meetings and to ask these people to show what they have achieved. This first wives club also demonstrates quite frankly how much more progress we need to make on gender issues. You would think that at a time when Ellen Johnson-Sirleaf (a woman) has ensured that Liberia has been declared Ebola-free and hopefully would remain so, when her incompetent counterparts in Sierra Leone and Guinea (both men) have spectacularly failed -that we may begin to contemplate whether and in a non-patronising way, women can do better in providing good governance to African countries, rather than being confined to what is nothing more than a good excuse for jollying at the expense of the very poor.